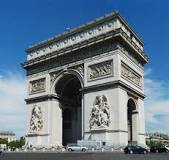 Sunday July 27th, 2014 - The closing stage to the Champs-Élysées is 137.5 kilometres in length and the bunch sprint is a Marcel Kittel prey. The four time stage winner in de Tour winner beats Alexander Kristoff on the line. Vincenzo Nibali is by far the best of the bunch. Sunday, July 27 – 137,5 kilometres from Évry to the Champs-Élysées in Paris.The GC winner will already be known but the sprinters have another chance of victory on the famed cobbles and the green jersey could still be decided. Sunday July 27th, 2014 - A bunch sprint is the standard finish on the Champs-Élysées. Last year saw Marcel Kittel crush King Cav's hegemony of four wins in a row. The German is the big man if it comes to starting a Cav-like row. Sunday July 27th, 2014 - The last stage surprisingly has some mountain points up for grabs with a category 4 climb.